Garden Oasis is not in the flood zone. 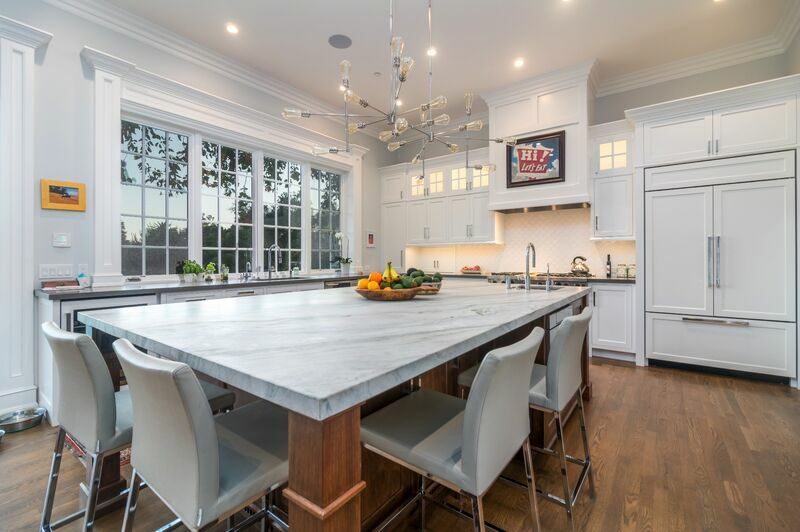 One of Montecito’s premier locations, this stunning residence offers total privacy, impeccable style and single level living all within a short distance to the beach and lower village. Gated and down a long private driveway on over 1.3 flat acres, there are 4 bedroom suites, 5 and 1/2 bathrooms, a tennis court, plus a large pool and spa. The kitchen is equipped with top of the line appliances, a wine refrigerator, 3 ovens, warming drawer, 2 dishwashers and ample storage. In addition there are two formal dining rooms, living room with a fireplace, a large family room, and a game room upstairs with TV and a billiard table. There is also a library with wet bar and fireplace. The generous master suite has two walk in closets, a fireplace and French doors to a very private patio. The spacious master bath has a walk in shower, soaking tub, and two sinks. On the back patio are a dining table and gas grill, opposite is another lounging area with cushioned patio chairs. The solar heated pool and spa are perfectly located off the family room and there is a vine covered patio with fireplace for outdoor dining and lounging.